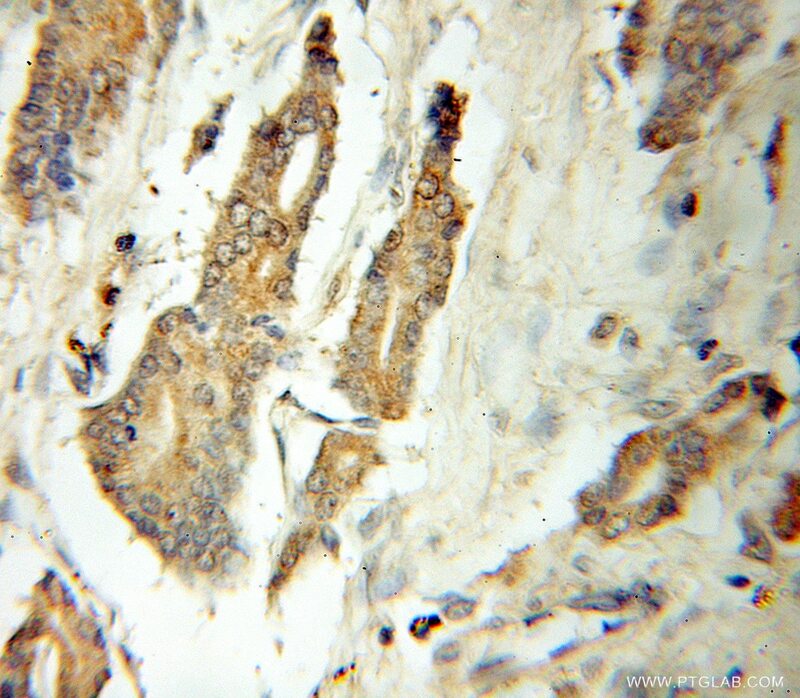 IP Result of anti-ATG12 (IP:11122-1-AP, 4ug; Detection:11122-1-AP 1:300) with HEK-293 cells lysate 880ug. ATG12, also named as APG12 and APG12L, belongs to the ATG12 family. It is required for autophagy. Free ATG12 is 15kd or 8kd. 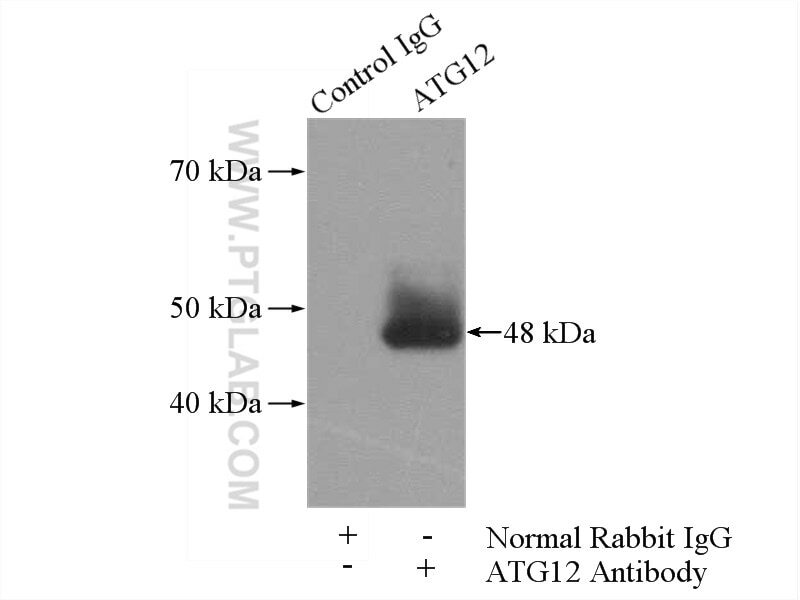 Conjugated to ATG5, ATG12-ATG5 show 48-55kd. Quinones Derived from Polychlorinated Biphenyls Induce ROS-Dependent Autophagy by Evoking an Autophagic Flux and Inhibition of mTOR/p70S6k. Low doses of single or combined agrichemicals induces α-synuclein aggregation in nigrostriatal system of mice through inhibition of proteasomal and autophagic pathways. AMPK-Dependent Phosphorylation of GAPDH Triggers Sirt1 Activation and Is Necessary for Autophagy upon Glucose Starvation. Anti-osteoclastogenesis of Mineral Trioxide Aggregate through Inhibition of the Autophagic Pathway. Down-regulated miR-23a Contributes to the Metastasis of Cutaneous Melanoma by Promoting Autophagy. Sirt6 deficiency exacerbates podocyte injury and proteinuria through targeting Notch signaling.